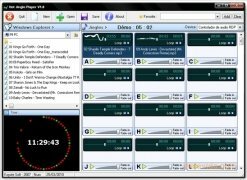 Both in radio programs as well as DJ sessions, it's advisable to have a sampler with which you can trigger all sorts of sounds like commercial breaks, publicity, sounds effects or songs, so an application like Hot Jingle Player can be suitable for this kind of task. The program has 26 cells to which we can assign almost any audio file (WMA, MP3, WAV and OGG) and that have independent loop, volume, fade in and fade out controls. The interface is ideal for this kind of program, because it is very clear, it allows us to view what sound is in each one of the cells, even though many users may miss a monitoring system, as well as an equalizer and pitch control. Moreover, we will also have a small file explorer and a timer to be able to track when we have to trigger each sample. 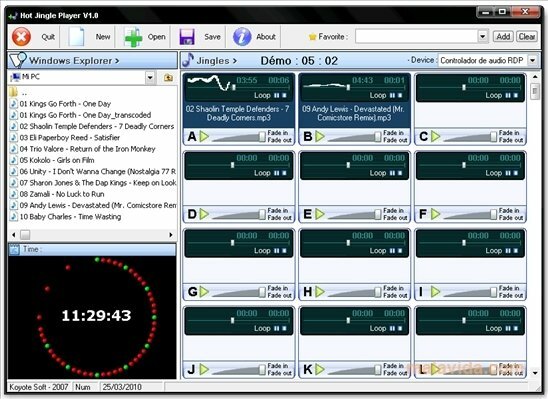 If you have a radio program or you're a DJ, and you're looking for an application from which you can trigger up to 26 samples live, you should try out Hot Jingle Player, a practical and lightweight tool.